This is one of a few books about imaginary friends that have been published lately. In this story, Beekle has not been imagined by anyone so he takes matters into his own hands and goes on a journey to find a friend. Beekle shows courage as he sails through unknown waters and finally he arrives in the real world where he finds the place he's meant to be. The story is unique and the bright, detailed illustrations bring a magical quality to the text. If you’re not familiar with the Elephant and Piggie books, the stories are told completely in dialogue between the two characters, they are absolutely hilarious, and elementary readers love them. 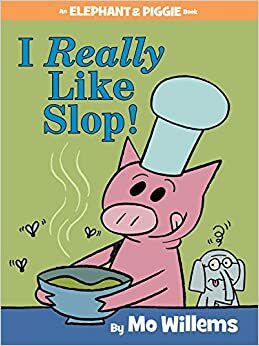 In this book, Piggie wants Gerald to try his slop, although Gerald does not want to. Gerald eventually gives it a try and, like he expected, he thinks it’s terrible. In the illustrations Gerald becomes green, then purple, and yellow with red spots showing his distaste. In addition to being humorous, this book also gives insight into how friends treat one another. This is a wonderful addition to the series. I posted a list of picture books for teaching students about perseverance and effort a few months back. 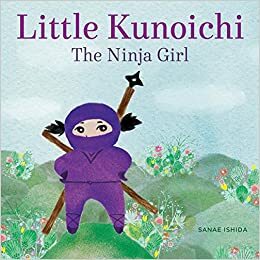 This book could be added to the list as Little Kunoichi shows perseverance as she learns to be a ninja. The book also touches upon the importance of practice and the need to strive to be better rather than be perfect. There is also an end page, entitled “Did you know?” that explains some of the Japanese culture that’s captured in the book. This is another picture book that addresses perseverance. 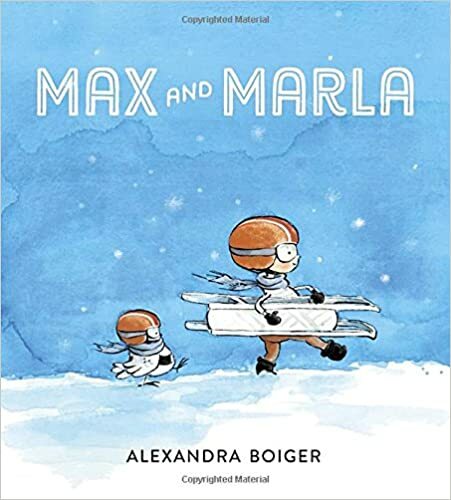 Max and Marla, a boy and an owl, are best friends and true Olympians and since true Olympians never give up they persist in their attempts to go sledding. They know the importance of preparation, taking a break, and seeing the positive side when faced with challenges. Lessons can be learned from this book, but it is also a charming story for the winter season. 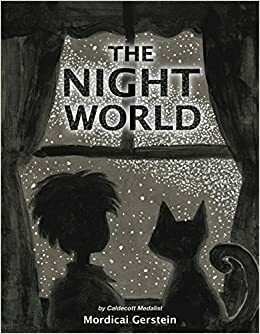 A boy and his cat, the only ones awake in their house, explore the night world and join in the night animals’ anticipation as they wait for the sunrise. The language of the book is gentle and poetic: “And the great, glowing disk of the sun bursts from the tops of the trees.” The beginning pages of the book are black and gray and more and more color is added until finally the brightly colored pages at the end show that morning has arrived. This is a beautiful story with equally beautiful illustrations. Maxwell, dresssed in his ninja outfit and armed with ninja tools, in the form of a pool stick, rope, and bouncy ball paddle, is on a mission. He uses his ninja moves, such as sneaking around and scaling walls, to succeed in his mission. He finds out that he has not gone totally undetected. 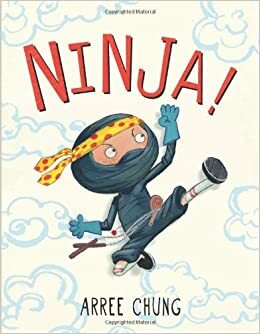 The pages of the text include graphic style frames that show Maxwell as he pretends to be a ninja. Young readers will enjoy the action of the story. 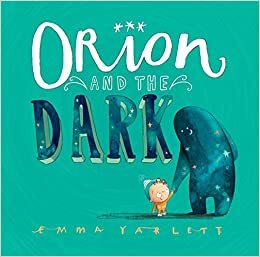 This picture book addresses the fear of the dark and shows that our fears often result because of what we don't know and understand. Orion’s fear of bedtime leads him to discover the Dark, a creature who takes him on adventure and shows him that the dark is not so terrifying after all. This book is playful, creative, and fanciful and one that has a powerful message, especially for those afraid of the dark. Of the books about imaginary friends that have been published lately I think this one is my favorite. Phillip and his imaginary friend spend all their time together until Brock wanders off to ride the Brain Shaker at the Big Fair and he is left behind. This is quite a problem for Brock, but when he finally finds his imaginary friend he also finds something that makes his life even better than before. The illustrations are as clever as the story. 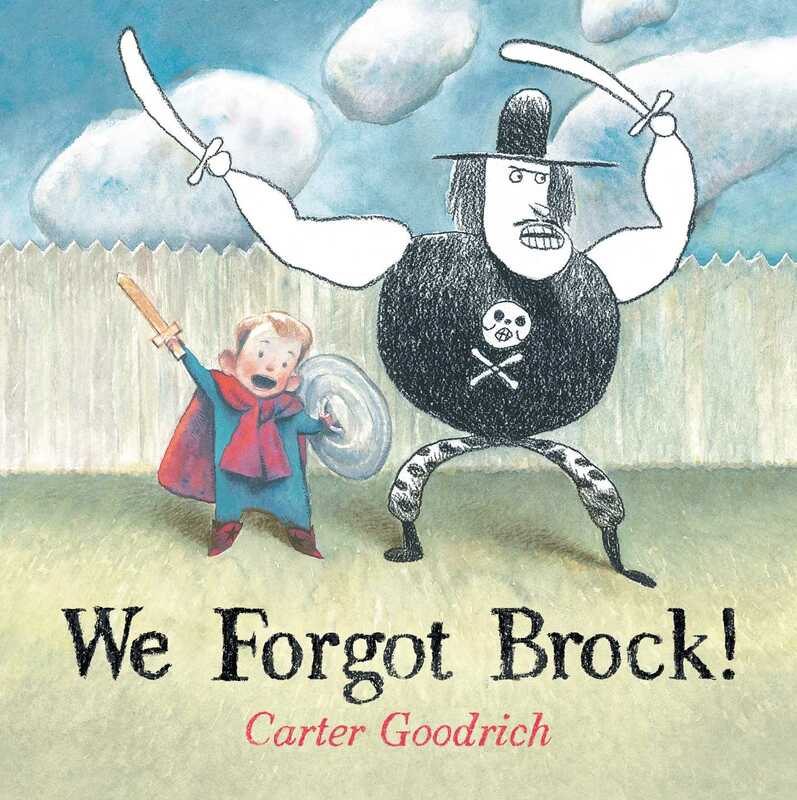 The illustrations on each page are in full color, but Brock, who resembles a pirate and another imaginary friend, resembling a princess, are drawn in one single color using a crayon. The books shows the importance of both real and imaginary friends. 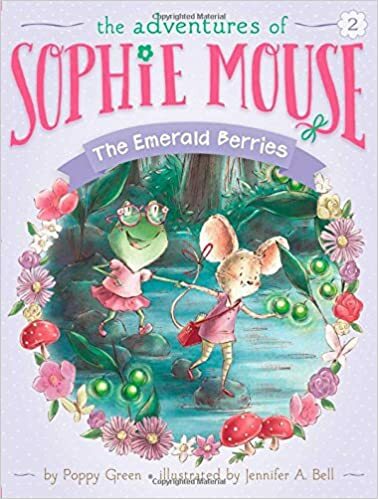 This is the second book in a transitional reader chapter book series about Sophie Mouse. The story tells an adventurous tale of forest animals that is perfect for young readers who enjoy using their imagination. The black and white illustrations of the forest animals are lovely and contribute to the sweetness of the story. Bird and Squirrel need to cross the Great Mountains to get home in this graphic novel. They have quite an adventure as Bird gets amnesia, a much too friendly Bear cub is in need of someone to keep him safe, and they try to stay a step ahead of a pack of hungry wolves. The story kept me engaged and made me laugh. The personality of the characters shines through in the plot and illustrations. This is a fun and adventurous tale that my readers who are graphic novel fans will greatly enjoy. Tiger is a tabby cat who realizes he has unusual powers and is transformed into a superhero. 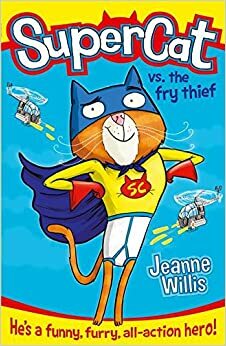 With his best friend, James, Supercat goes on a mission to save the fries and defeat Count Backwards. This story would be great for those students who love humor and silliness. I can picture many of my reluctant readers getting hooked on this series. Ahhhh! I didn't know there was a new Elephant and Piggie, I can't keep up with Mo. Little Kunoichi looks really great, and one teachers in my school could really use. Thanks for sharing. I didn't realize there were actually 24 Elephant and Piggie books until I saw the list of all the titles at the end of the book. The 25th book is going to be published in May of next year and it's also going to be the last in the series. Kind of disappointing, but I guess it's good to end on a high note. A lot of good books here. I enjoyed Beekle & Brock, love The Night World, will look for Little Kunoichi & Max &Marla. Thanks for all! Glad I could share some new titles with you! Such a nice variety of books. I saw the Willems one and We Forgot Brock on another blog today and immediately added them to my next elementary order. Come see my week here. Happy reading! This is a pretty awesome book list! I pretty much want to add all of them to my list - I've been seeing the new Elephant and Piggie book on blogs a lot recently, but it's not in at my library yet - the anticipation is killing me! :) I also really want to get my hands on "The Adventures of Beekle: The Unimaginary Friend", it looks like a sweet twist on the imaginary friend story. Thanks for sharing these! It was a good reading week for sure! I love the illustrations in the Elephant and Piggie book - they really add to the humor. Students are going to love this one as much as they do the others. I'm impressed by this list. I've read a few, but have put the new Elephant and Piggie into my shopping Cart. I will have to get the new Bird and Squirrel book also. My readers love them. 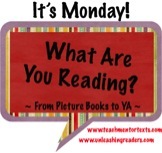 It was a great week of reading! 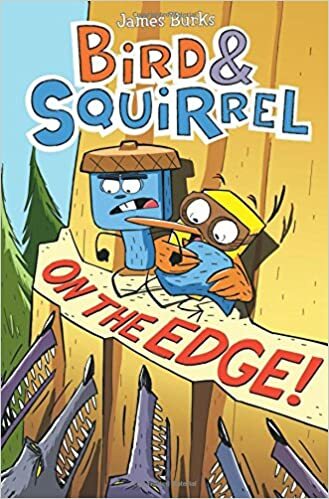 I was not familiar with the Bird and Squirrel books until I read this one. One student has borrowed it and he enjoyed it. I have to get the other two. Thanks for sharing all these titles! Several new to me. I'm very eager to get the new Mo Willems and also very sad that the series will end, though I could imagine as an author feeling like I'd done all I could after 25 books! That's quite impressive. My college students are totally obsessed with Elephant & Piggie and will fight over a new book! Thanks for sharing! I have Beekle on my pile now.